Quick Quotes allows you to build a deal, create and email sales quotes with your product or service details, description, quantity and price in lightning time. To set up your primary email client, click here. If you've your email client already configured, skip to step 2. 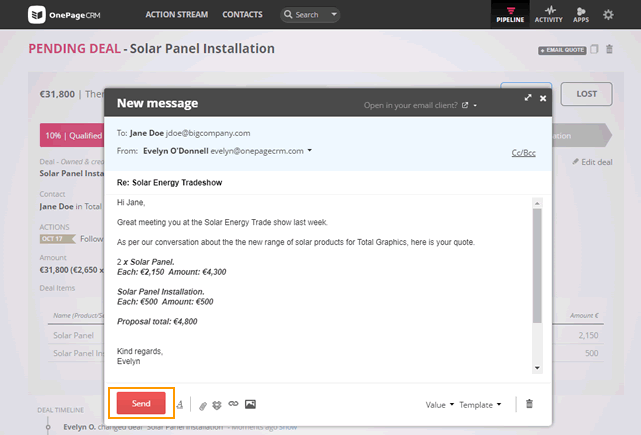 Note: If you're a Gmail or Outlook /Office 365 user, you can connect up your account to create email templates (including selecting your Quote Block as a variable), send emails in bulk and add your signature. 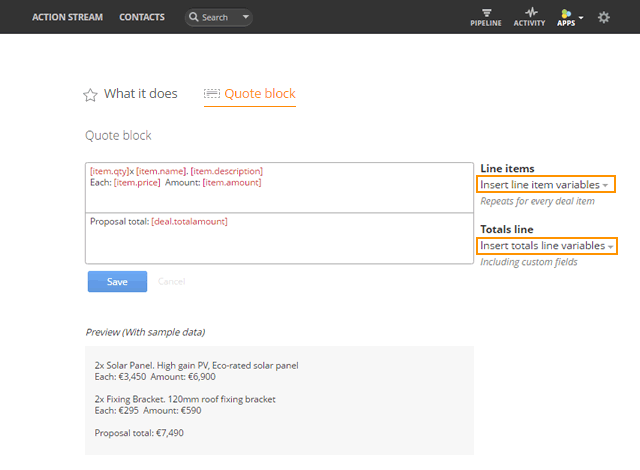 If you select Other - you can set up one template and include your Quote Block as a variable for sending Quick Quotes only. Open a contact → Add Deal (or edit a pending deal) → click the Deal Items check box → Search or if No deal item found → Select from Deal items. 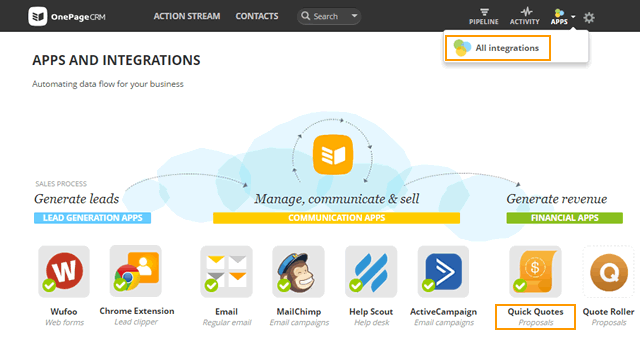 Open Apps → All integrations → click Quick Quotes. 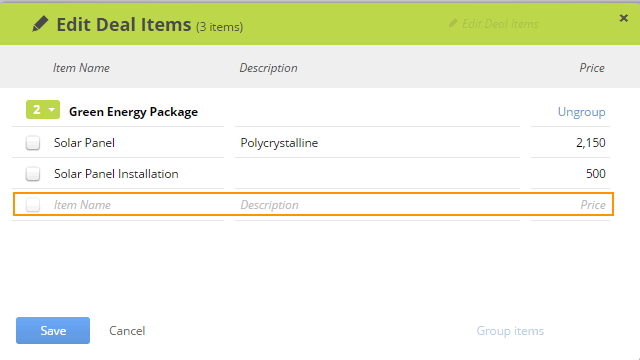 In Quick Quotes, select Quote Block → add your variables using the Insert line item variables and total line variables dropdown → Save. Note: You can add deal custom fields in the Totals line. Quick tip: If you'd like to bold the amount or any other fields, highlight the text and click CTRL & B. Select your default email template under QUOTE BLOCK USAGE section. Once you're happy with all the email details → Send. A copy of your email quote is stored in your Activity Timeline of the contact for future reference. Quick Quotes is pre-installed for all users. However, only the account owner or administrator can edit Quick Quotes. Quick Quotes is not available for bulk email. If you have more than 1 email for your contact, you can chose which email address to send your quote to if you have your Gmail account connected.